Good morning! I’ve made dozens of fall-themed recipes the last few weeks, and I can’t wait to share them, but I’m getting the back-end stuff ready. I have thousands of photos to go through and edit, seriously thousands. 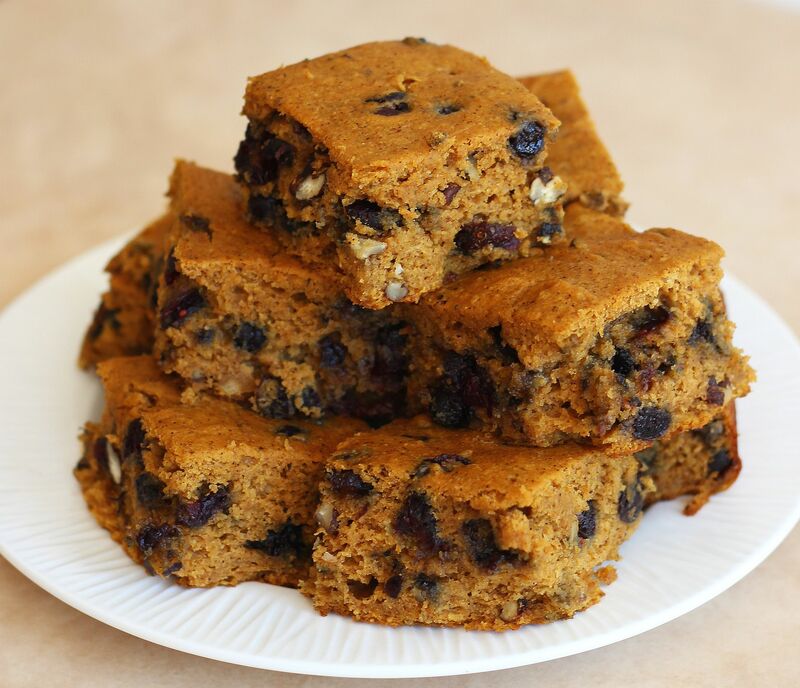 But today: pumpkin recipes! 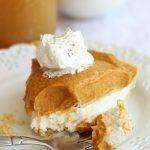 I thought it would be helpful to pull together some past fall and/or favorite pumpkin recipes! Let’s revisit some oldies, but goodies, shall we? 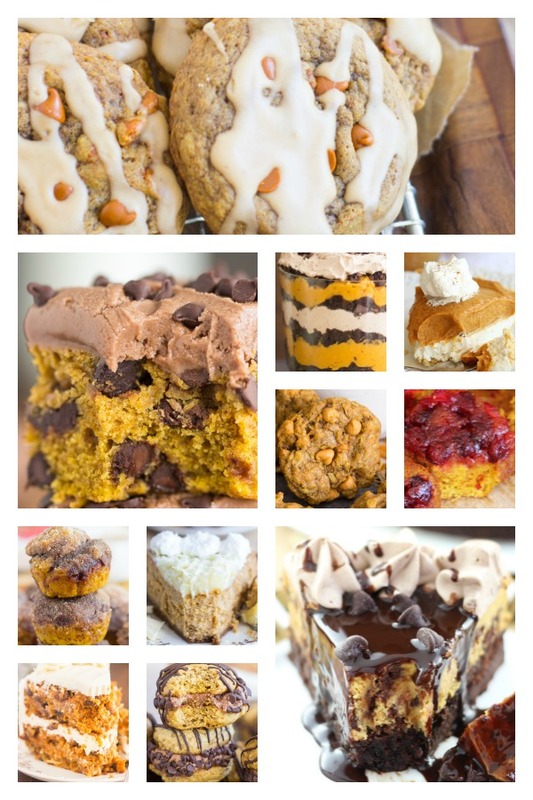 Each recipe post takes so much work, and these deserve a spotlight again. 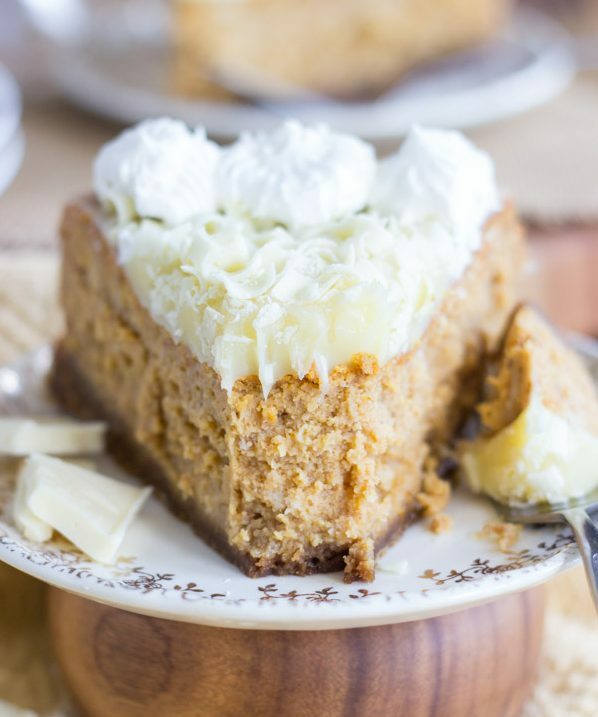 Let’s get started with a big round-up of favorite pumpkin recipes. Because, yeah, this isn’t ALL of them. Pumpkin Carrot Cake: A marriage of carrot cake and pumpkin, and with a little hummingbird cake thrown in too (coconut and pineapple!). A luscious cream cheese frosting, of course. Pumpkin Upside Down Cake Recipe: Really more like upside down pumpkin pie…. 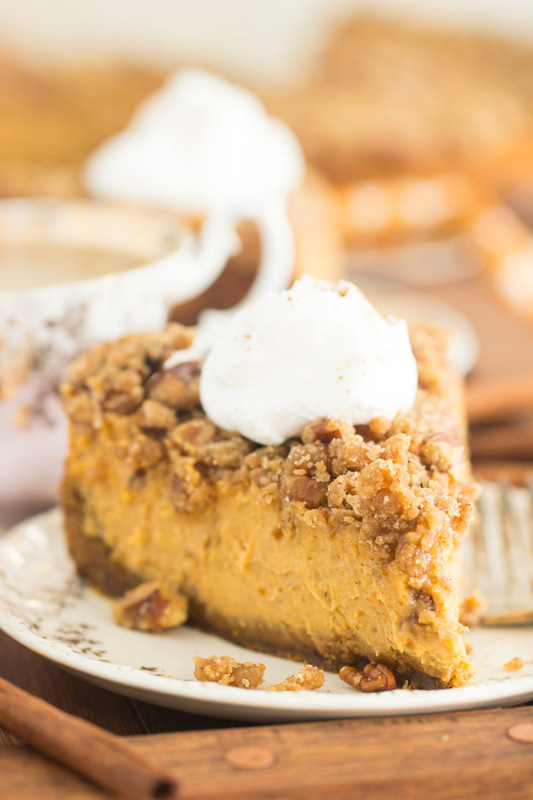 pumpkin pie on the bottom, and a crunchy, buttery, pecan crust-like layer on top. 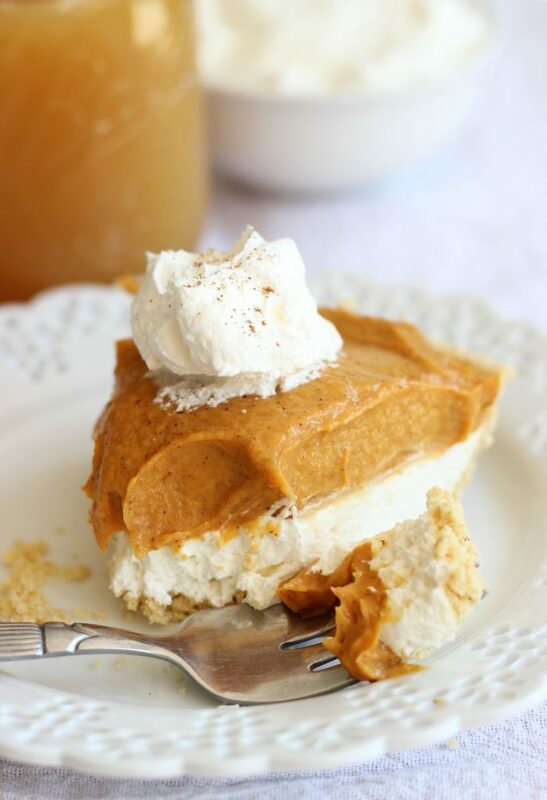 Gloriously easy, and better than a standard pumpkin pie anyway! Walnut Streusel Pumpkin Pie: A buttery, brown sugar & walnut streusel sits at the bottom of this pie, and heavily scattered across the top. 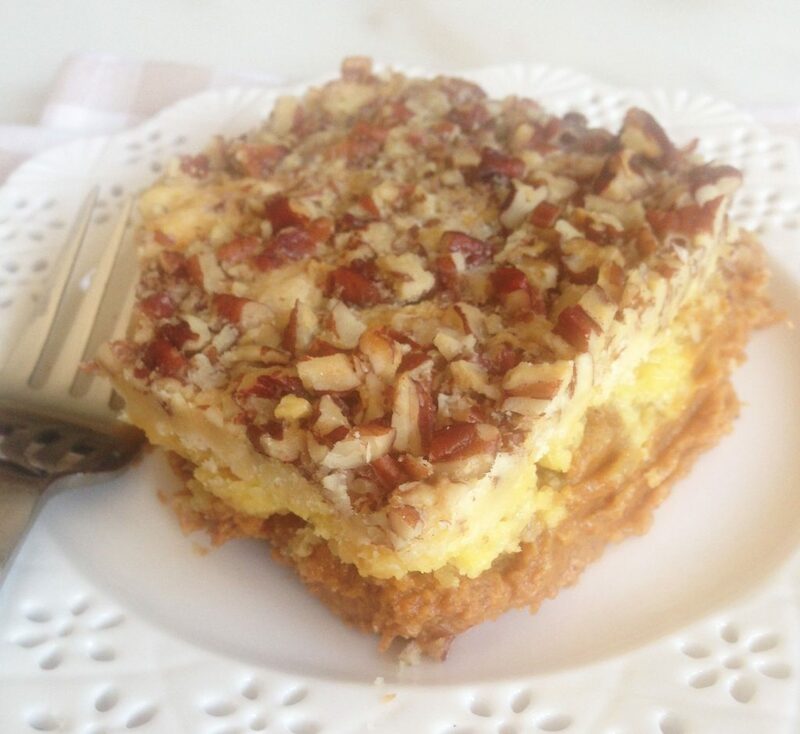 TWO layers of nut streusel! 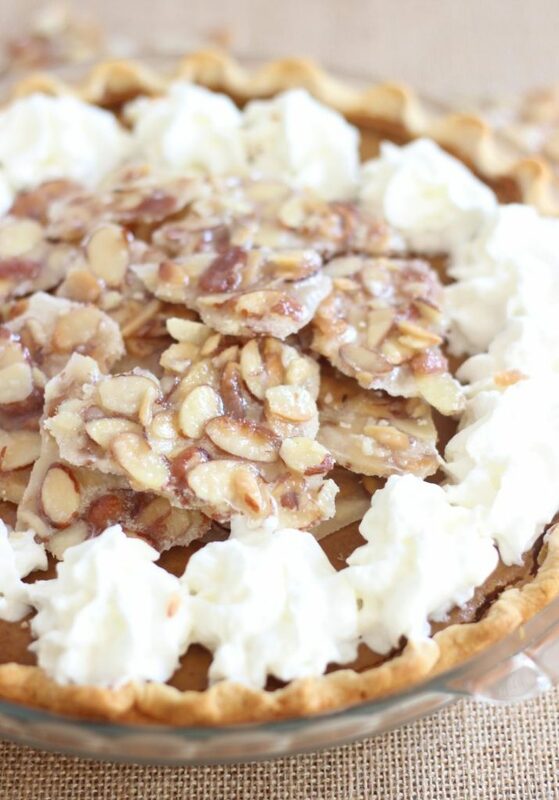 Amaretto Pumpkin Pie with Almond Brittle: A spiked pumpkin pie will always beat a regular pumpkin pie, am I right? It’s the perfect amount of boozy, and the crunchy, almond brittle topping is a fantastic complement. 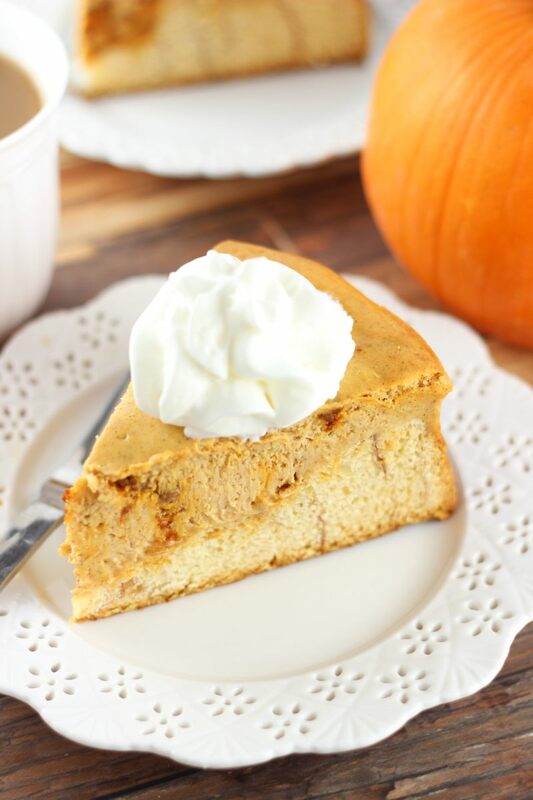 Double Layer Pumpkin Cheesecake: The pumpkin recipe that started a pumpkin obsession for me about 13 years ago. This has been my signature dessert for many years. My S.O. could happily eat this, and only this, for the rest of his life. 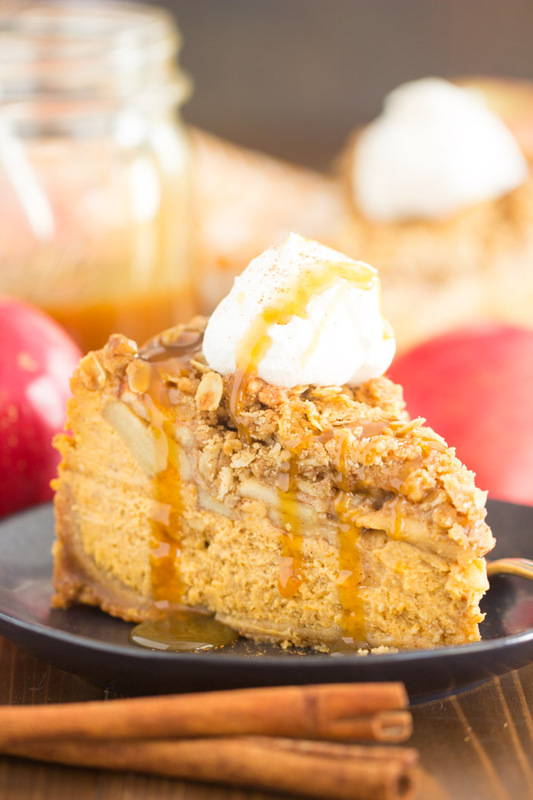 Apple Crisp Pumpkin Cheesecake: Literally baked an apple crisp right on top of a pumpkin cheesecake, and it’s freaking ridiculous how INCREDIBLE this is. It’s a beast too – soooo lofty! White Chocolate Pumpkin Cheesecake with Gingersnap Crust: Everything is better with white chocolate, including pumpkin cheesecake. Who knew? 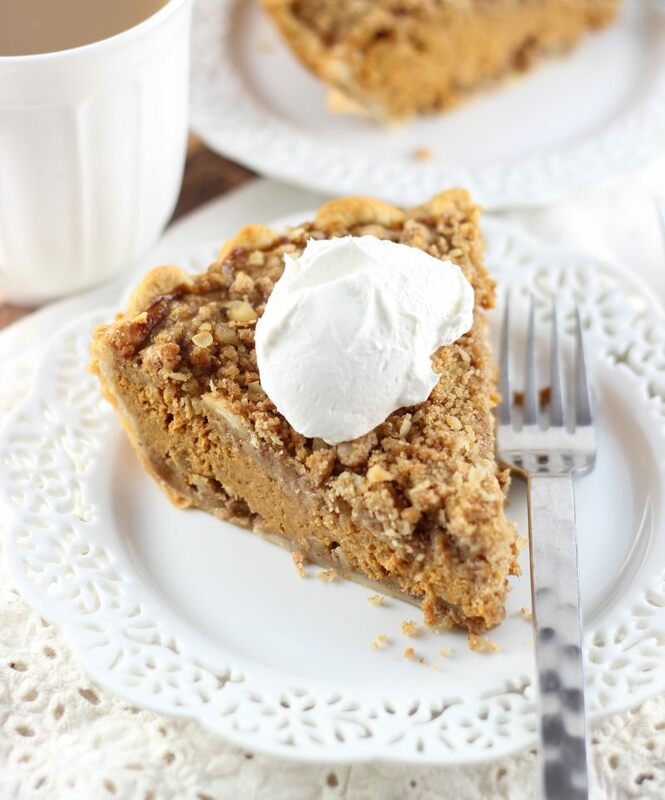 A spicy gingersnap crust is impeccable with cutting through the sweetness of the white chocolate. 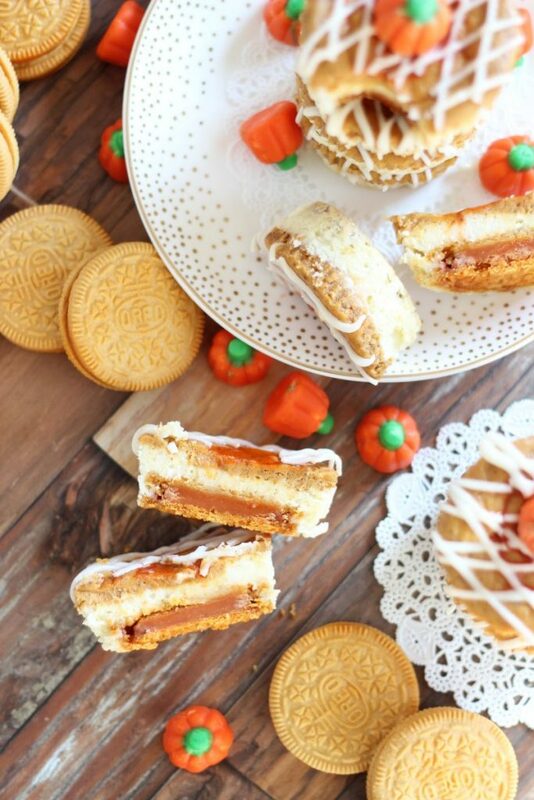 Pumpkin Spice Oreo Cheesecakes: Mini pumpkin cheesecakes, and with Pumpkin Spice Oreos for crust. Possibly the best use of an Oreo cookie that I’ve ever tried. Cinnamon Roll Pumpkin Cheesecake: Baked a pumpkin cheesecake on top of a thick layer of cinnamon rolls, and now we can call this breakfast! 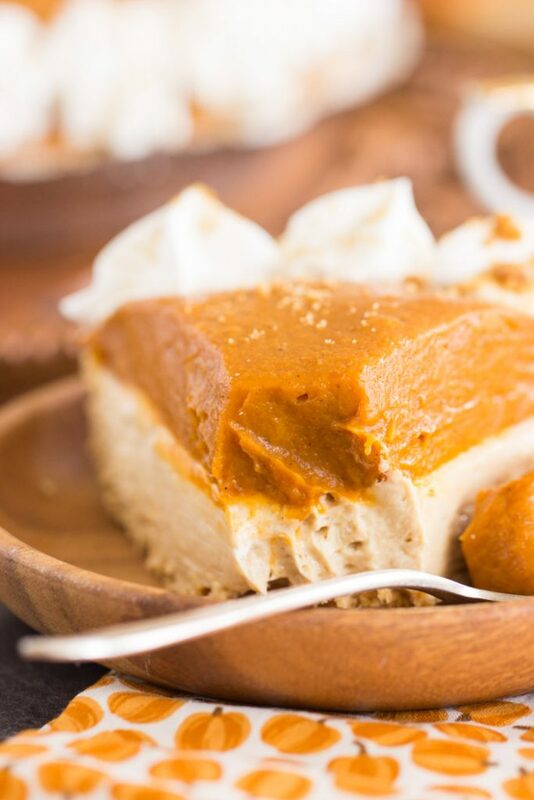 Whatever lets us get away with eating more pumpkin cheesecake, I’m in. 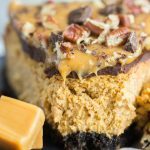 Double Layer No Bake Pumpkin Cheesecake: You can prep this awesome pumpkin cheesecake in about 10 minutes! It’s absurdly easy, but fabulously good too. No skimping on taste here. 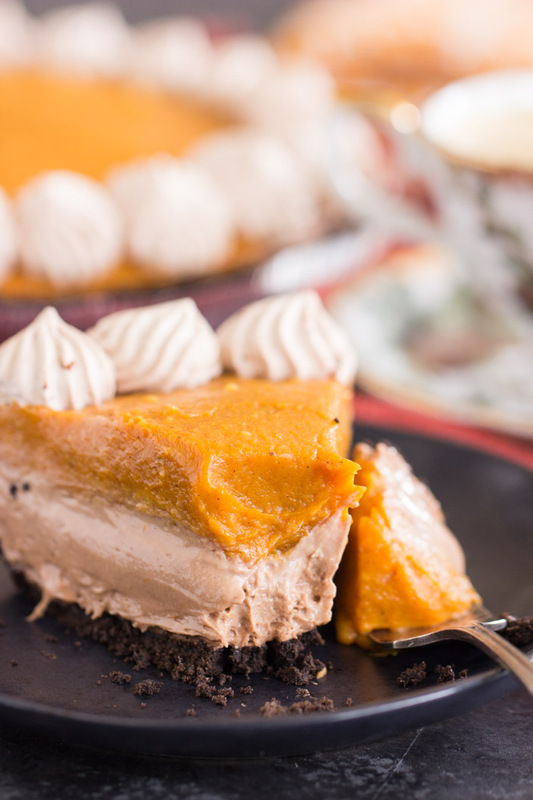 No Bake Double Layer Biscoff Pumpkin Cheesecake: Same deal! 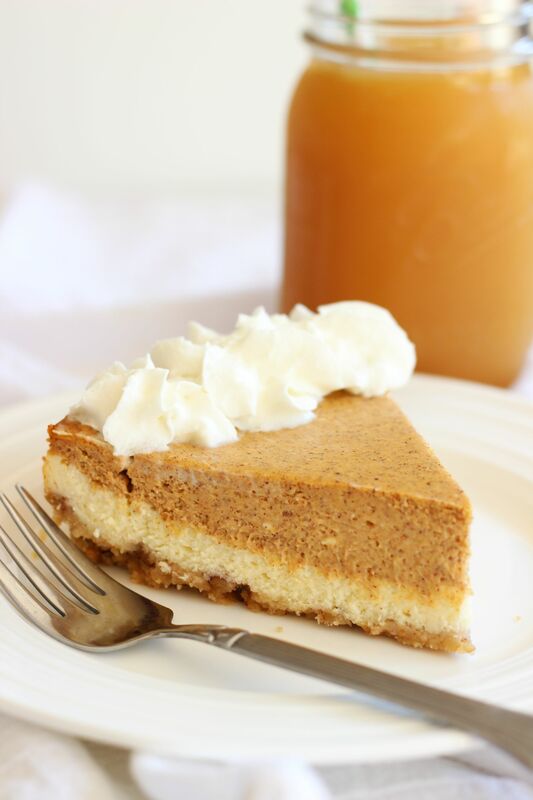 Same as above, but instead of a plain cheesecake layer, this one boasts an infusion of Biscoff. Ready in minutes! 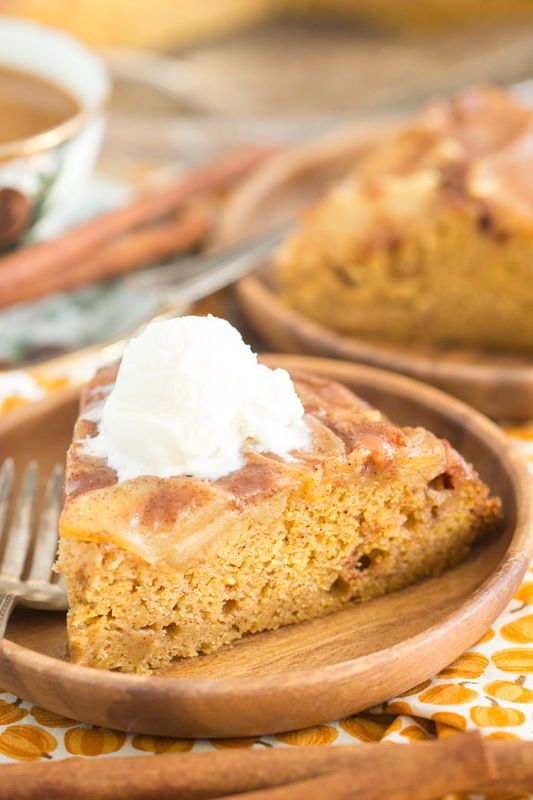 Pumpkin Apple Upside Down Cake: Oh man…. the texture of this cake is unbelievable. 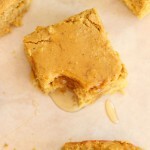 And it’s so buttery and caramel-y, but not in a greasy or overly-sweet way. It’s just a rockin’ combo of pumpkin and apple! 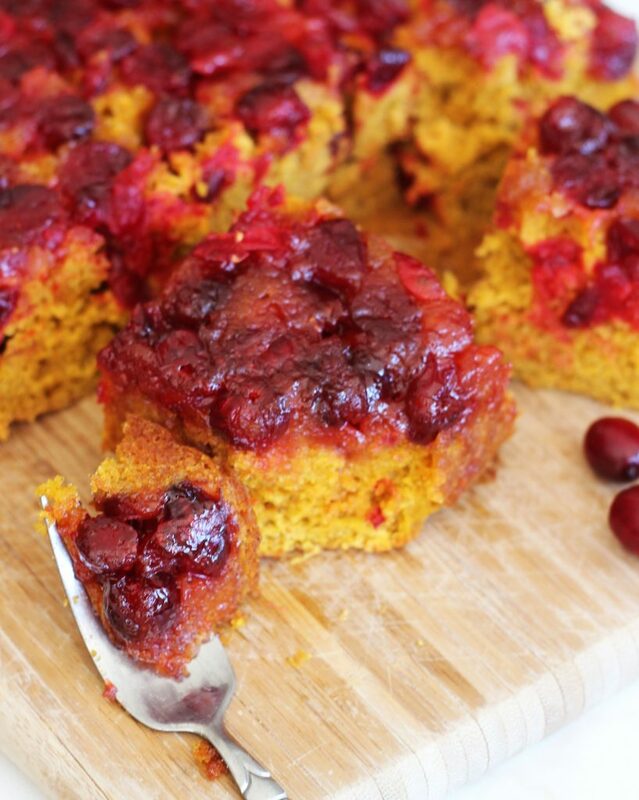 Cranberry Pumpkin Upside Down Cake: Moist pumpkin cake, with beautiful rubies of caramelized fresh cranberries. A marriage of two amazing holiday flavors. It’s also really pretty! 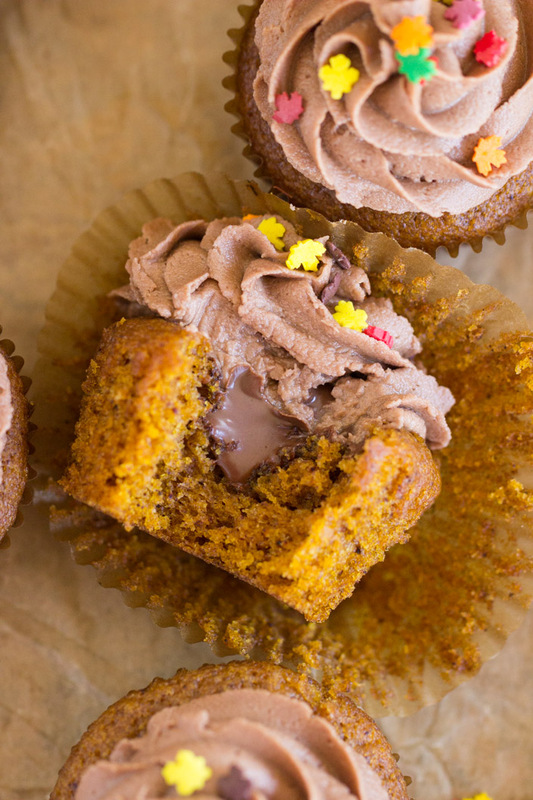 Pumpkin Cupcakes with Nutella Buttercream: Moist, spiced pumpkin cupcakes, with a big dollop of Nutella in the center, and a fluffy, rich Nutella buttercream on top. 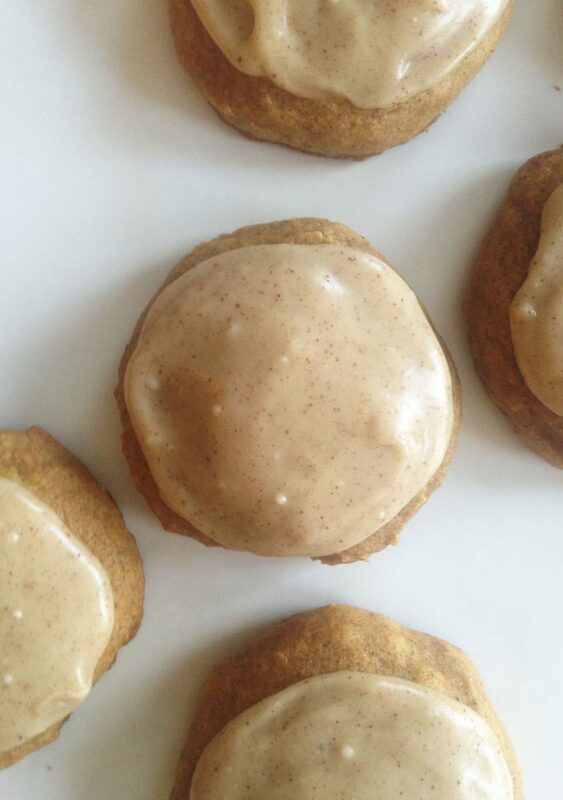 Pumpkin Cookies with Brown Butter Icing: Currently going viral, and I’m so glad they’re getting the recognition they deserve. Cakey, full of pumpkin and spice, and there’s few things better than brown butter frosting! 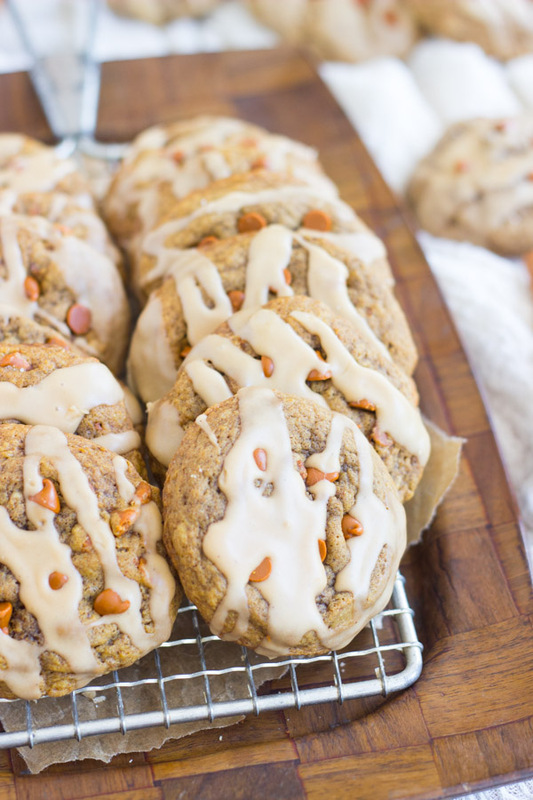 Pumpkin Spice Latte Cookies: Not cakey like the above pumpkin cookies, these are super chewy! A chewy pumpkin cookie, loaded with pumpkin spice, and infused with coffee. Coffee glaze is clutch! 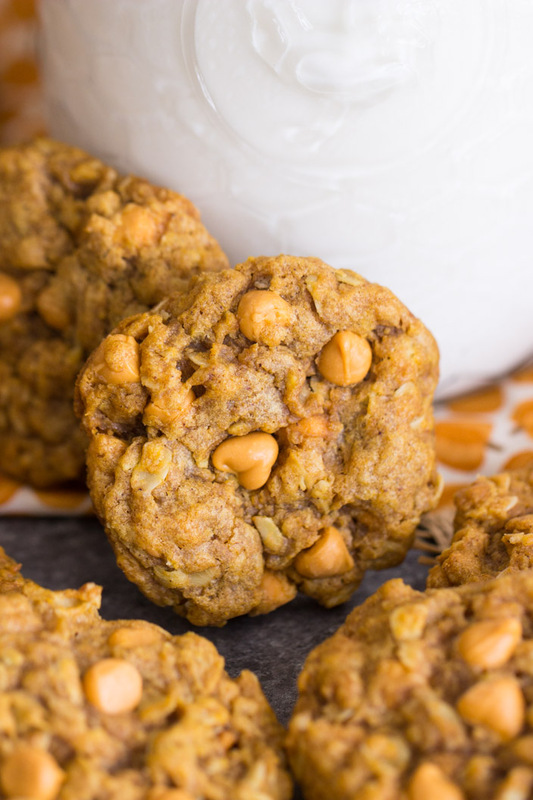 Pumpkin Oatmeal Scotchies: One of my favorite cookies of all time, classic Oatmeal Scotchies, but pumped with pumpkin! 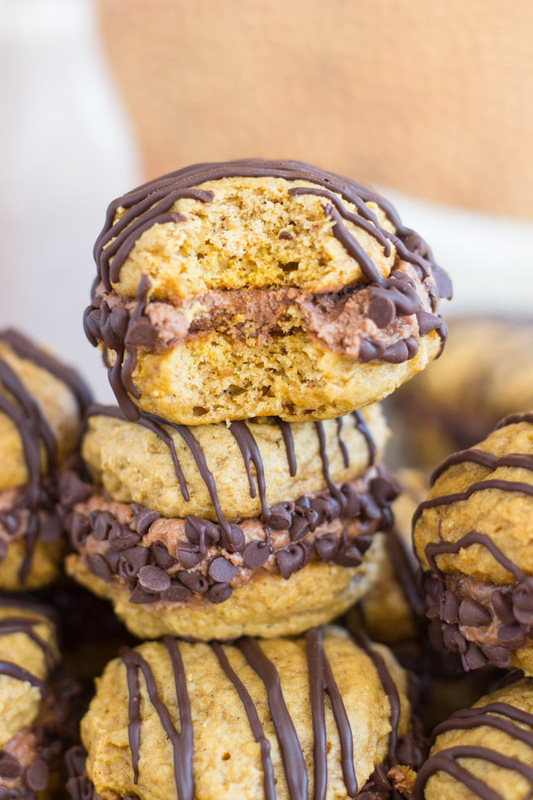 These are another non-cakey, chewy pumpkin cookie. Pumpkin Nutella Whoopie Pies: Two soft pumpkin cookies filled with fluffy Nutella buttercream. We fly through a batch of these real fast. They’re super addictive. 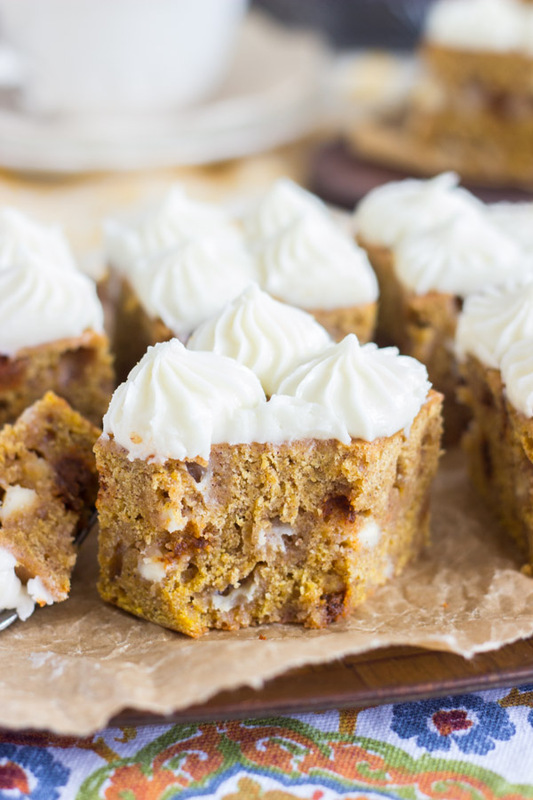 The Best Pumpkin Blondies with Cream Cheese Frosting: These are so thick and lofty, but they’re really soft, moist, and chewy. I love them with cinnamon chips or white chocolate chips, and a heap of frosting, obvi. 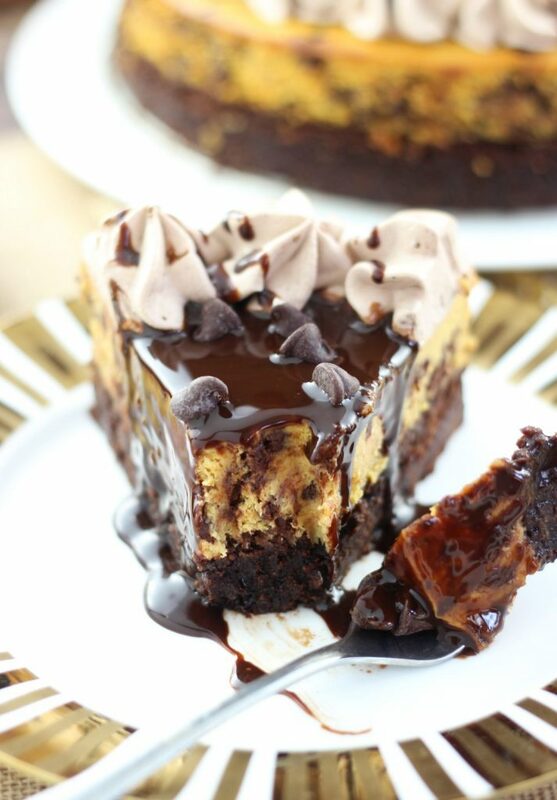 Pumpkin Chocolate Chip Brownie Cheesecake: A full-on batch of brownies serves as the crust, and then a chocolate chip-dotted pumpkin cheesecake on top. 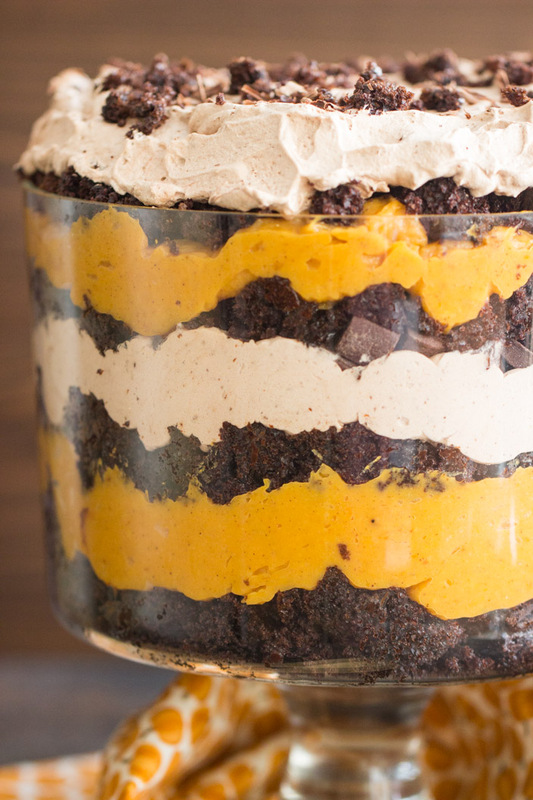 Chocolate and pumpkin together are truly dreamy. 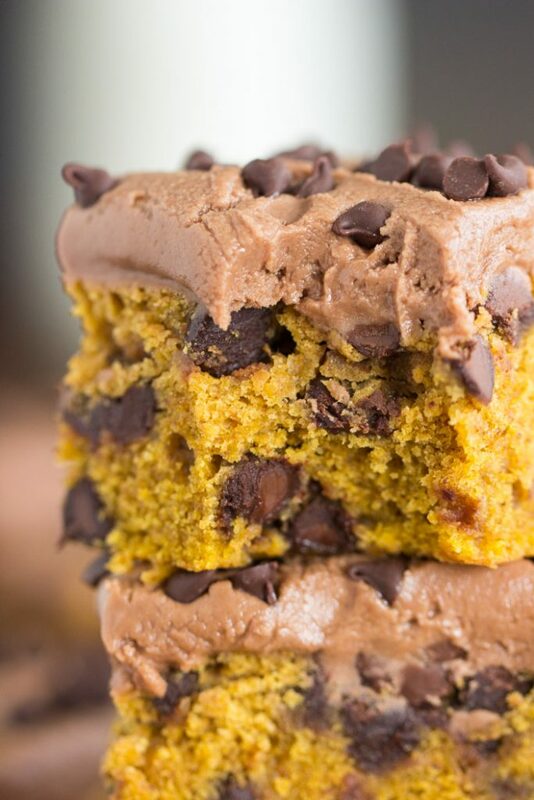 Pumpkin Chocolate Chip Bars: Like the pumpkin blondies, but with chocolate chips and chocolate frosting. Again, chocolate and pumpkin are a power team! 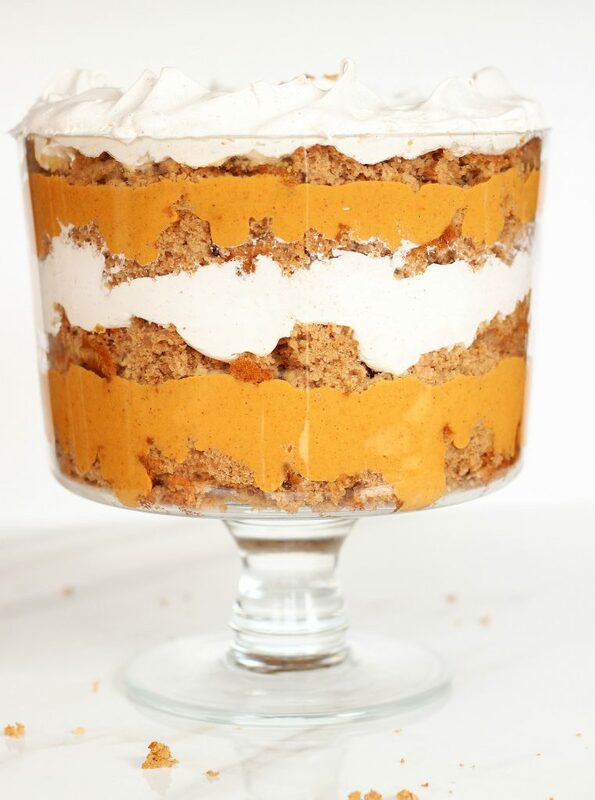 Gingerbread Pumpkin Trifle: Combining a few holiday classics! This thing is easy to throw together, and feeds a crowd. 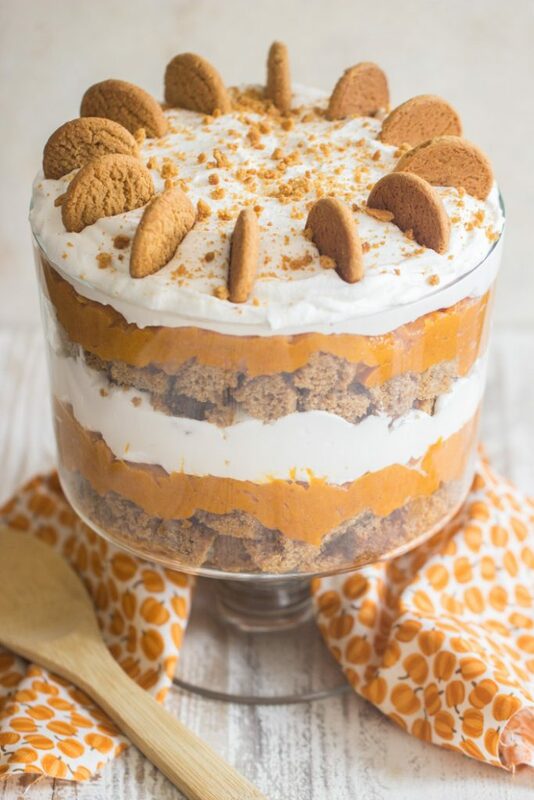 Pumpkin Butterscotch Spice Cake Trifle: So many good things in one dessert, and this pumpkin trifle is just as easy to throw together! Chocolate Pumpkin Trifle: My pumpkin trifle recipes are quite popular, and here’s another option for you. 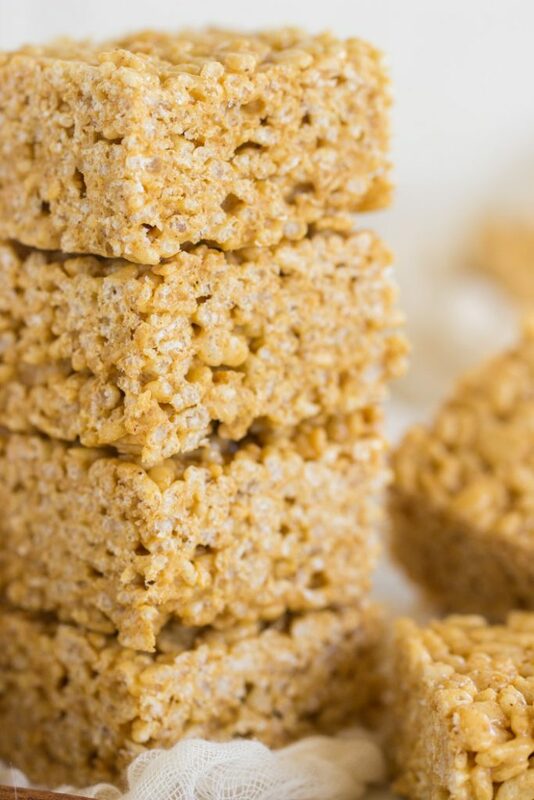 Pumpkin Spice Latte Rice Krispie Treats: Classic Rice Krispies Treats madeover with a PSL theme, but as easy to make as original RKTs. 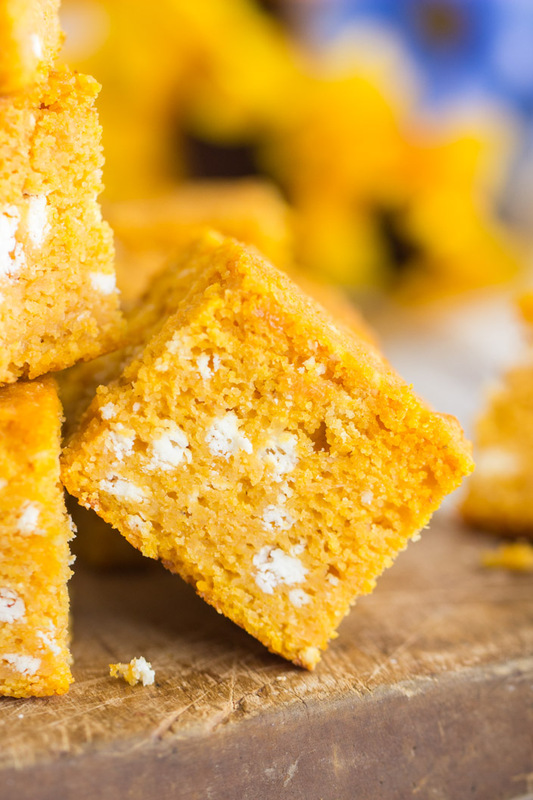 Goat Cheese Pumpkin Cornbread: Kicking things up a notch, add goat cheese to cornbread, and enjoy creamy, melty morsels in every bite. 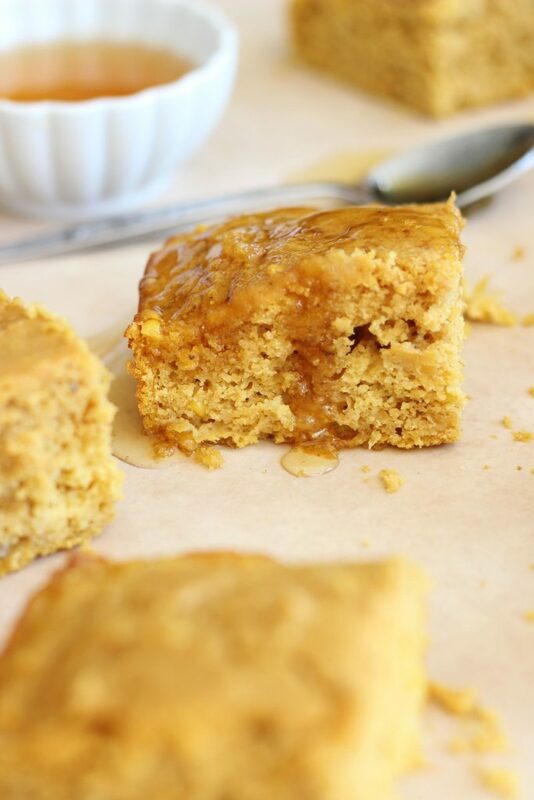 Honey Brown Butter Pumpkin Cornbread: Brown butter makes EVERYTHING better, and this is no exception. 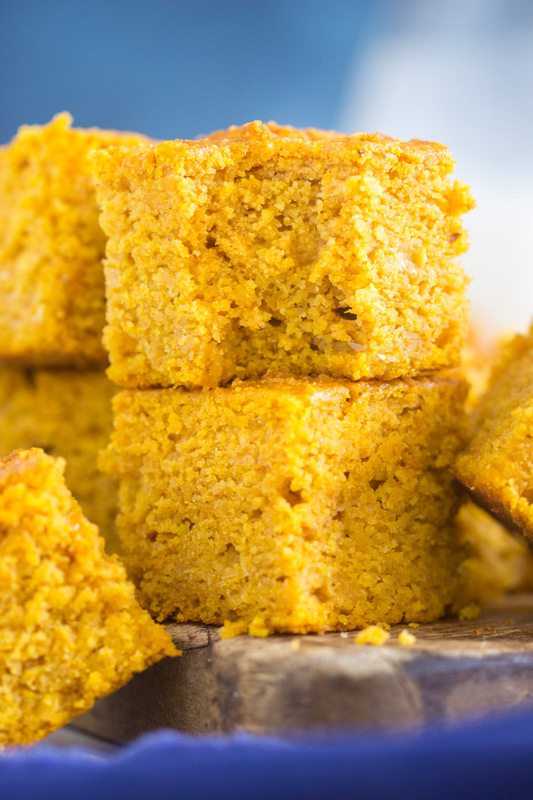 My fave pumpkin cornbread recipe (see above!) with a few extra upgrades. 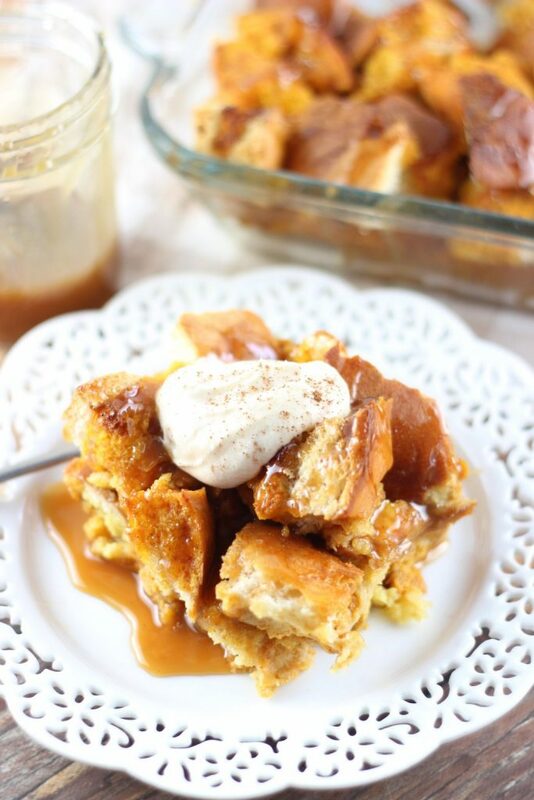 Pumpkin French Toast Casserole: Pumpkin for breakfast! This can be prepped ahead, and baked the morning of! 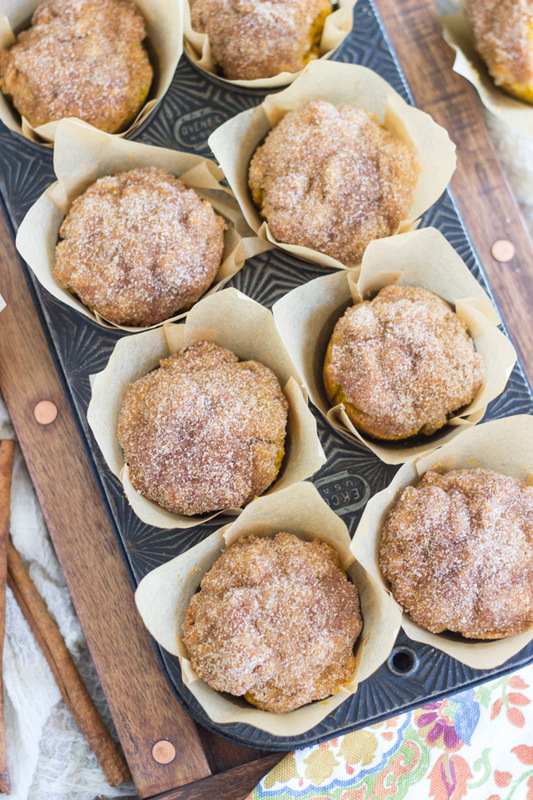 Pumpkin Donut Muffins: These are a cinch to whip up, and it’s like a baked donut in muffin form. You’ll be surprised how much these muffins remind you of a cake donut! Lots of pumpkin and spice too. 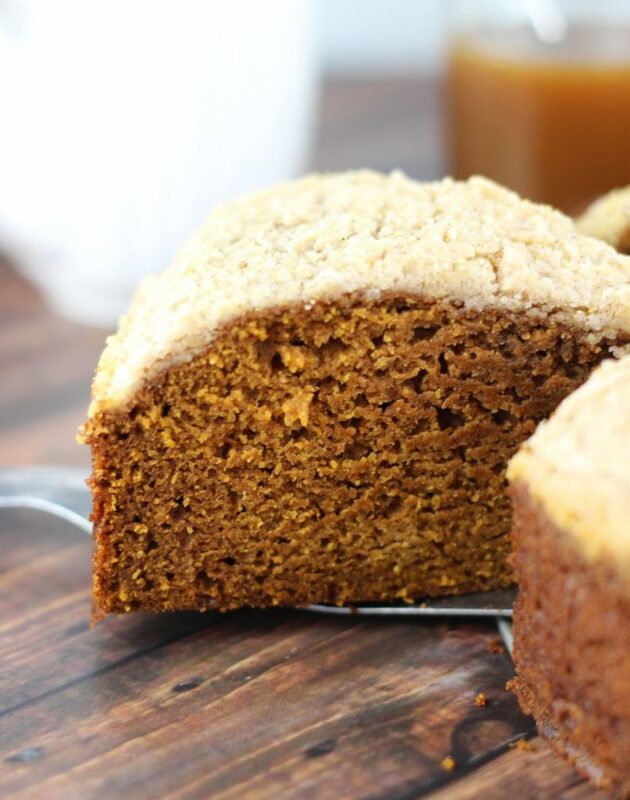 Pumpkin Gingerbread Crumb Coffee Cake: Perfect for breakfast on Thanksgiving or Christmas! This is a sizable coffee cake, so it feeds a crowd, and the flavors together are dynamite. 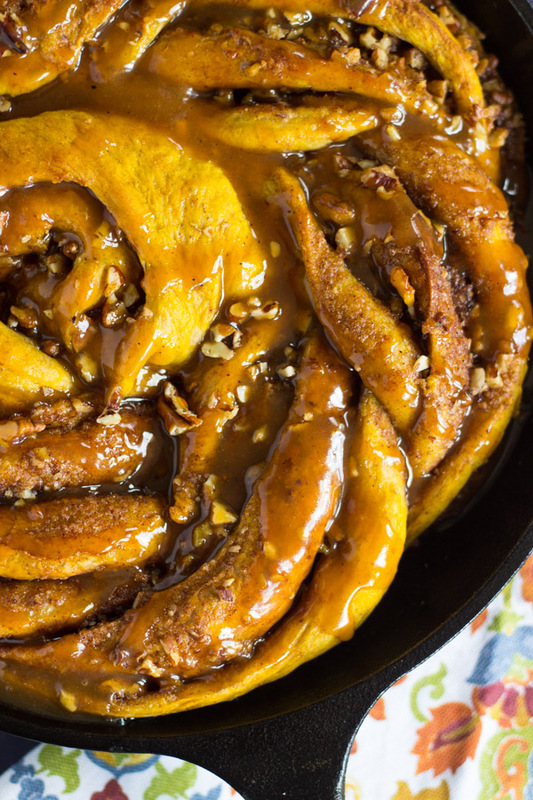 Giant Pumpkin Caramel Pecan Skillet Cinnamon Roll: One of my favorite recipes of all time! It’s beautiful, so it’s great for holidays, but it’s surprisingly simple, so it’s great for any fall weekend brunch. 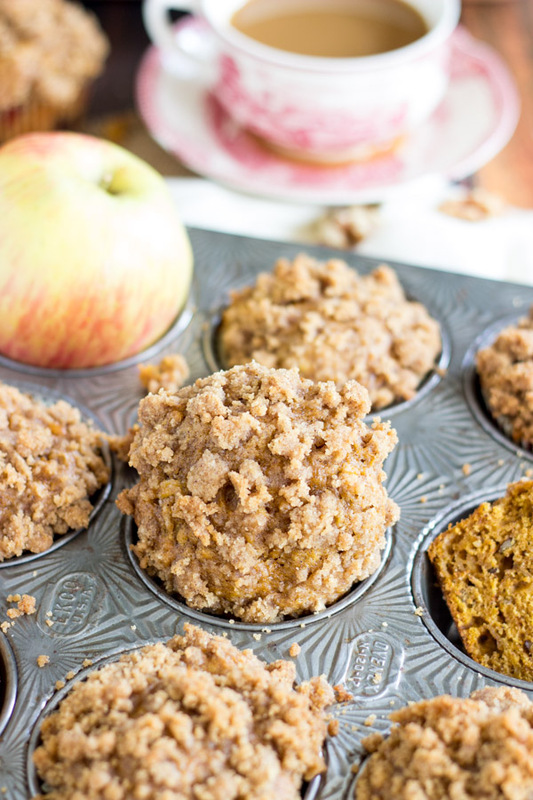 Pumpkin Apple Streusel Muffins: Pumpkin spice muffins, with fresh chopped apples baked right in, and a heap of spice and streusel. What could be better? 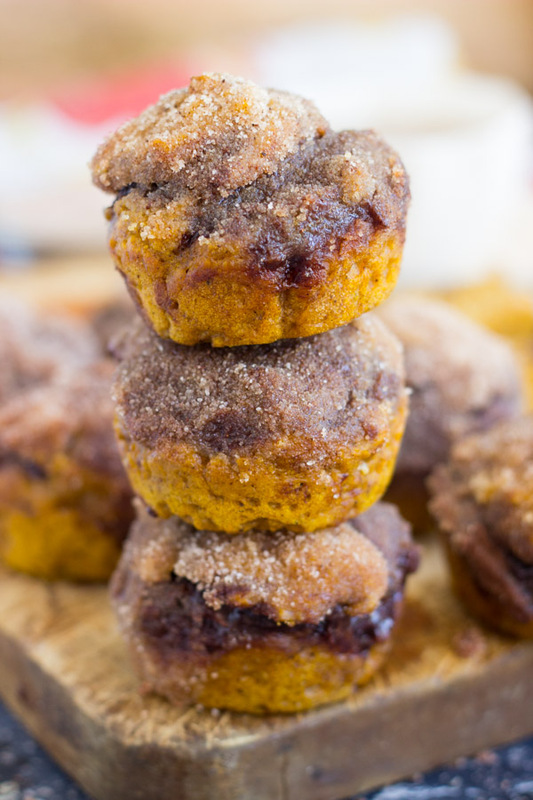 Snickerdoodle Pumpkin Nutella Muffins: Pumpkin and Nutella together are delightful. These are one-bowl muffins, and are ready in about 30 minutes, start-to-finish. 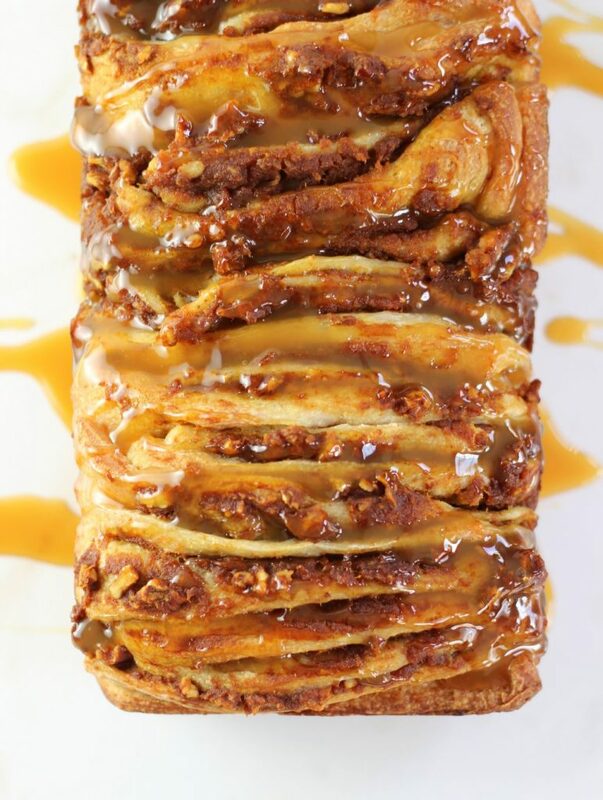 Easy Pumpkin Pecan Pull-Apart Bread: This super simple recipe uses a short-cut so that you don’t have to deal with making a yeasted dough! 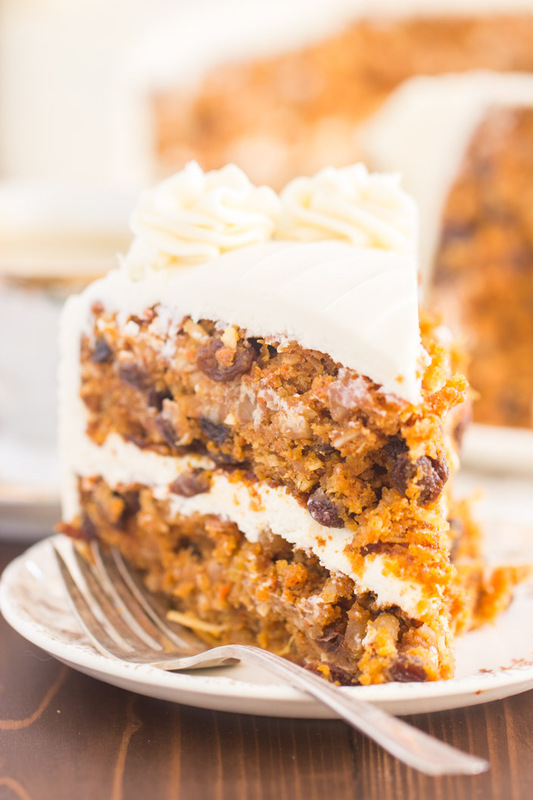 It’s like pumpkin pie is baked between every layer. 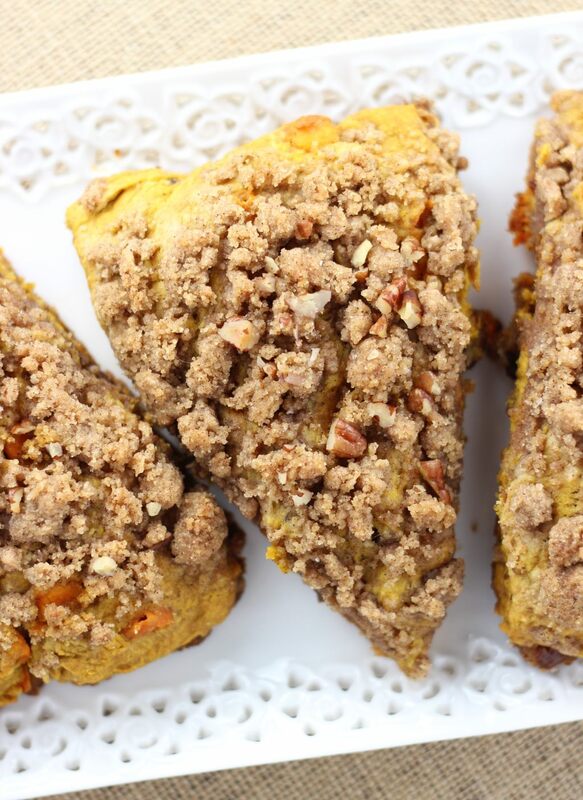 Pumpkin Pecan Scones with Brown Sugar Streusel: So much better than any pumpkin scones you can find at a bakery, and scones are so easy to make at home. The streusel on top is everything! Pumpkin Protein Bars with Cranberries & Pecans: If you want something on the healthier side, I’ve been making these bars for YEARS now, and I love them! You’d never guess they’re nutritious and protein-packed. There you go! 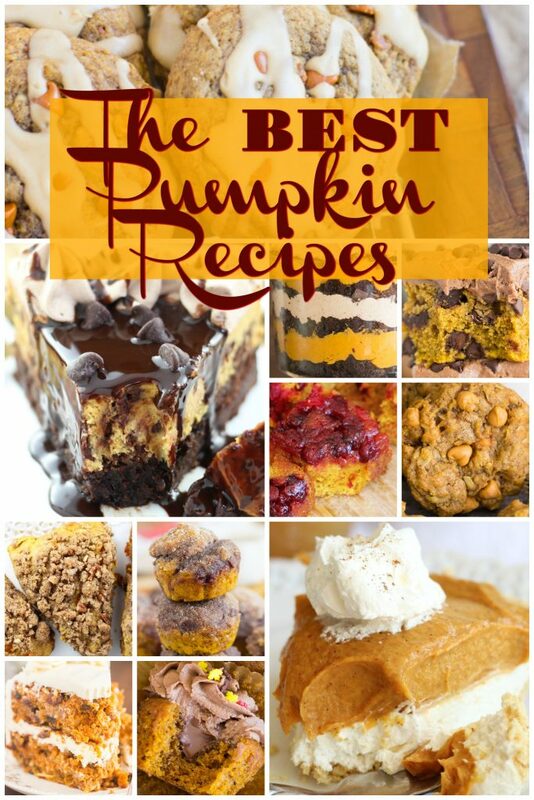 A whole slew of the best pumpkin recipes to get you in the fall spirit! What pumpkin recipes are you making first?? 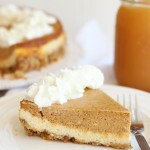 Do you have the fireball pumpkin pie Recipe? Hi Tammy! It’s not my recipe, but somehow people are ending up on my Fireball Apple Pie recipe looking for that one. I don’t know how that’s happening. 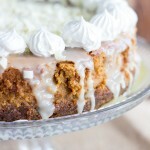 In any event, someone commented that it’s at this link: http://lauraiscooking.tumblr.com/post/102403303207/fireball-whiskey-pumpkin-pie. Good luck!